For nearly a year, scientists have been scrambling to understand why starfish in the Pacific Ocean have been dying in droves. In fact, the problem has gotten so bad that many scientists expect entire species of sea stars to be extinct in the near future. Finally, scientists at University of California Santa Cruz have had a breakthrough in understanding why these marine creatures have contracted a horrific disease that causes them to tear themselves apart. The bad news is there’s no easy fix – and the dying likely won’t stop anytime soon. According to the research, warmer oceans are allowing bacteria and viruses to thrive, which infect sea stars and compromise their immunity. Once a sea star is infected, it becomes vulnerable to the disease, which leaves lesions on their bodies and even causes limbs to detach. Although scientists aren’t certain, it appears that sea stars are contracting the pathogen that causes the disease from the food it eats. When a test group of sea stars were given frozen squid sourced away from the area, those sea stars did not get sick. 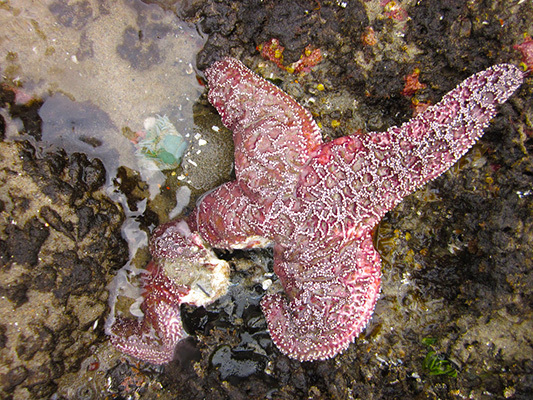 The disease is the biggest die-off that scientists have seen in marine animals, impacting over 20 species along the Western coast with over 40 percent of sea stars showing symptoms. As the summer continues, the problem will likely only get worse and one scientists says that he expects all of the sea stars in the area to die. 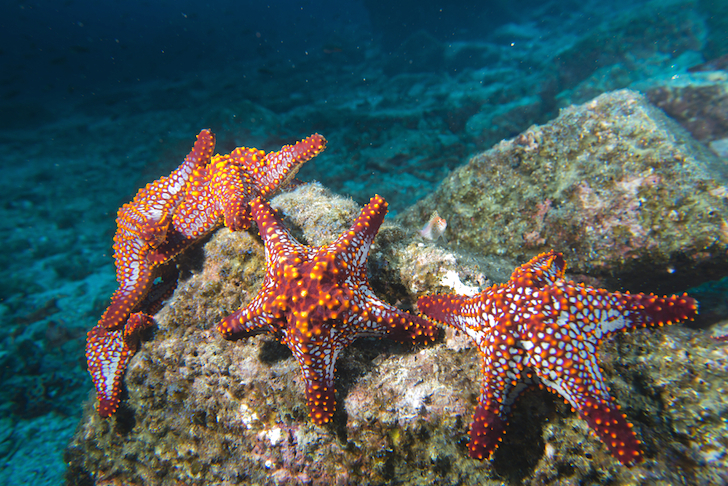 The biggest hope now is that the younger sea stars will develop a resistance to the disease so that they can survive, but unless that happens, losing such an important predator from the ocean ecology could have serious consequences. I don't know if I think that is more scary or sad? Sea stars on the west coast of America are dying by the thousands, a phenomenon scientists now link with climate change and warming oceans. For nearly a year, scientists have been scrambling to understand why starfish in the Pacific Ocean have been dying in droves. In fact, the problem has gotten so bad that many scientists expect entire species of sea stars to be extinct in the near future. Finally, scientists at University of California Santa Cruz have had a breakthrough in understanding why these marine creatures have contracted a horrific disease that causes them to tear themselves apart. The bad news is there’s no easy fix - and the dying likely won’t stop anytime soon.